A new poll of the Top 50 Greatest Drum Albums is dominated by Led Zeppelin, who have an impressive five albums in the Top 50. The list, published by Rhythm magazine, takes into account the votes of the mag´s writers as well as many of the star drummers the magazine has interviewed over the last five years, including Dave Grohl, Nicko McBrain (Iron Maiden), Matt Helders (Arctic Monkeys) and Steve White (Paul Weller). 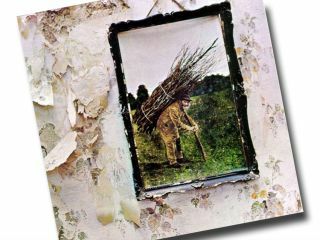 Top honours go to Led Zeppelin´s fourth album (featuring the drum double-whammy of Stairway To Heaven and When The Levee Breaks), with The Beatles´ Abbey Road coming in second. There are some notable omissions in this list, though. There are no albums by Cream featuring Ginger Baker, and the only albums in the Top 10 made in the last 30 years both feature Dave Grohl. MusicRadar wonders; are they not making truly great drummers any more?